Southampton Professor Stephen Holgate has been awarded the President’s Medal by the Royal College of Physicians (RCP) for his personal contribution to public health, particularly air quality, over many decades. 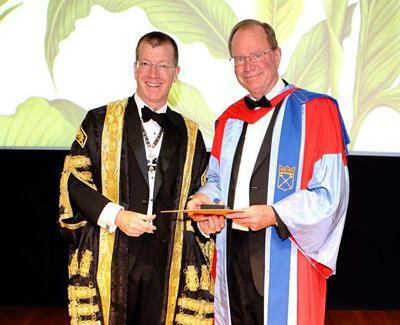 He is also recognised for his exceptional service to the RCP. Professor Holgate is Medical Research Council Clinical Professor of Immunopharmacology and Honorary Consultant Physician within Medicine at the University of Southampton. He is also special adviser on air quality to the RCP. “This recognition by the RCP acknowledges the work of many and the support the University has given me over 45 years to be able to connect our research with the development of new air pollution policies as well as the formation of the new Southampton Cleaner Air Partnership,” said Professor Holgate. Recognised as one of the top specialists in his field, both nationally and internationally, Professor Holgate’s many leading appointments, including Government advisor, underline his level of expertise. Throughout his career, he has remained focused on the interface between basic sciences and clinical application to improve the understanding and treatment of allergy and asthma. In 2016 he chaired an RCP working party that published a landmark report setting out the dangerous impact of air pollution on the UK’s health. The report, ‘Every breath we take: the lifelong impact of air pollution’ revealed for the first time that around 40,000 deaths a year in the UK can be linked directly to air pollution. Amongst his numerous awards, medals and honorary positions from Universities and academic institutions around the world is a CBE awarded in 2011 for services to clinical science. Professor Holgate is one of eight recipients of the Medal during an exceptional year as the RCP celebrates its 500th anniversary. Normally, no more than two Presidents’ Medals are awarded in any year. 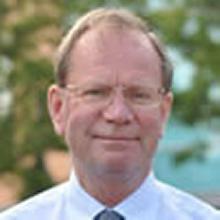 Professor Stephen Holgate is Medical Research Council Clinical Professor of Immunopharmacology and Honorary Consultant Physician within Medicine at the University of Southampton.